Diagnosis of an ACL tear is made by knowing your symptoms, medical history, performing a physical examination of the knee, and performing other diagnostic tests such as X-rays, MRI scans and occasionally an arthroscopy. Treatment options include both non-surgical and surgical methods. If the overall stability of the knee is intact, your doctor may recommend nonsurgical methods. Non-surgical treatment consists of rest, ice, compression, and elevation (RICE protocol); all assist in controlling pain and swelling. Physiotherapy will be recommended to improve knee motion and strength. A knee brace may be needed to help stabilize your knee. Young athletes involved in pivoting sports will most likely require surgery if they want to return to sports. 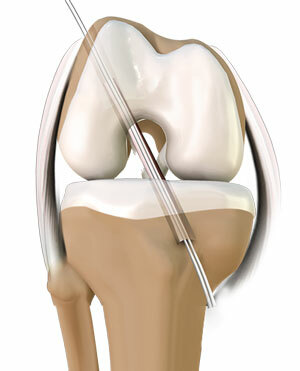 The usual surgery for an ACL tear is an ACL reconstruction to restore knee stability. 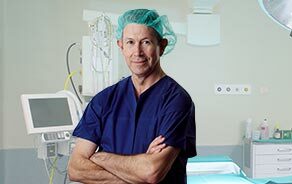 Surgery to reconstruct an ACL is done with an arthroscope using small incisions. Your doctor will replace the torn ligament with a tissue graft obtained from your knee (patellar tendon) or hamstring tendons. Following ACL reconstruction, a rehabilitation program is needed.